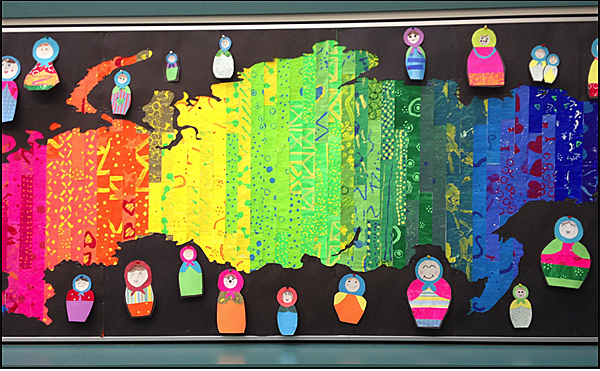 In honour of the Winter Olympics 2014 I thought I'd share this beautiful bulletin board. It was created by an intermediate class at my school. I'm not sure which class made it, but I was struck by its beauty! Subscribe to Grade ONEderful by email. I LOVE it! Makes me think of a quilt. That is just gorgeous! So glad you shared the picture! Thanks for stopping by to leave such kind comments, everyone! The intermediate teachers in our school are very talented ~ they always have the coolest art projects. It would make a GREAT quilt, wouldn't it, Kimberley?